It can be easy for the busy international student to forget that Beijing has so much to offer beyond what can be found in the bubble of your academic institution. Along with living in a city that features an incredible depth of culture and exciting teen friendly activities, there is also a lot of fun to be had if you can break free from your comfort zone or manage to give yourself enough time in between your school workload to explore. This being said, we wanted to give teens from around Beijing the opportunity to express themselves and their views on life in this city through the pages of our glorious publication. We were amazed at not only the insightful things that they had to contribute but also the quality of their writing. This issue tackles everything from exciting things you can do or get involved with in Beijing (p14), a glimpse inside some local teens’ rooms (p20), and even a chat with some exciting skateboarders (p48) who divulged their secrets on where and how to best hit the deck in the capital. If you or someone you know is interested in contributing to our Student Correspondent Program in the future, shoot me an email (danielkippwhittaker@beijing-kids.com) because we would love to hear from you. It’s a great opportunity not only to get yourself published but to also get feedback on your work from our editorial team. 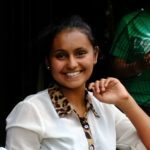 Soumya is a sophomore at the University of New Brunswick, and alumna at the International School of Beijing (ISB). When she’s not playing with her younger brother’s fidget spinner or contemplating complex engineering solutions to life obstacles, she is a known contributor to beijingkids. 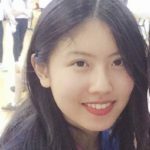 Tina Sang is currently a 11th grader at the Western Academy of Beijing (WAB). Born in Michigan, writing has been one of her earliest passions, and her love for it has only grown over the years. She also enjoys literature, speech and debate, and meeting new people. 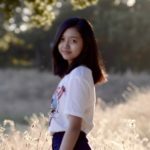 This student from Beijing World Youth Academy (BWYA), when not found on the volleyball court or doing makeup for her school theater productions, is also a journalist in the making. Check out her previous work on the beijingkids website. 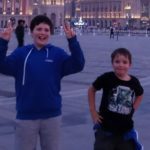 Noah Killeen (age 11) and Joseph Killeen (age 8) were born in Birmingham, UK, and came to Beijing two years ago with their parents. Noah likes history, Joseph loves dancing, and they’re both mad about soccer. They are students at Hyde Academy. Lydia is a year 13 student from Sebastopol, a tiny town in California. Since moving to Beijing three years ago, she has come to love this city. 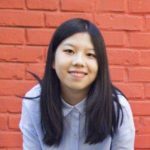 After her transfer to Yew Chung Intenational School of Beijing (YCIS Beijing) a year ago, her love for writing piqued and soon blossomed into an interest in journalism. 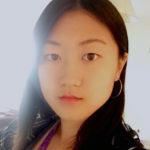 A year 10 student currently attending the Western Academy of Beijing (WAB), Chen was born in Chicago, Illinois, and moved to Beijing later with her family. She enjoys painting, writing, and dance. 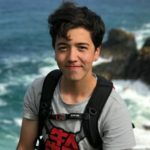 Lindesay is half British and half Chinese and is currently a year 12 student at Beijing No. 55 High School. He has always been very fond of outdoor activities and sports, and no matter where his travels take him around the world, he always tries to get a run in. Yuka loves dancing, chatting it up with friends, and taking pictures of the sky when smog permits. 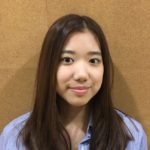 She’s also very interested in journalism and exploring the idea of being a bridge between both her Japanese and Chinese heritage. She is currently a rising junior at Beijing No. 55 High School. This article originally appeared on p 5 of beijingkids September 2017 issue. 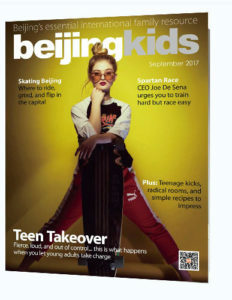 Beijingkids Student Takeover Issue Is Coming in August… Get Involved!